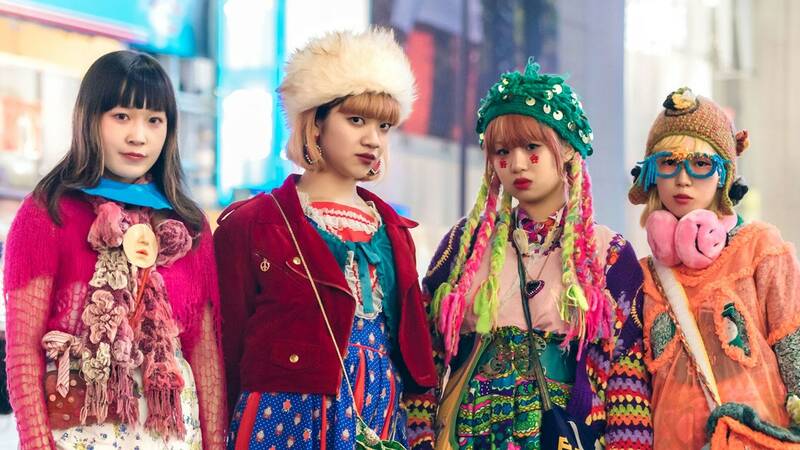 At Tokyo Fashion Week, the high-octane street style looks are inextricably linked to—and perhaps even rivaled by—their beauty counterparts. And this season, show-goers, both solo and in coordinating fashion tribes, took above-the-neck peacocking to a whole new level of self-expression. There were the one-off statements, such as brows painted a deep fuchsia to pop against flicks of lemon yellow eyeliner, braids intricately woven with different shades of neon yarn, and perm-style ringlets fashioned into a retro quiff.